In most cases, an ophthalmic examination can be performed at the ocular surface, including cornea and conjunctiva. The cornea is arranged into well-organized layers, and each layer plays a significant role in maintaining the transparency and viability of the tissue. The conjunctiva is a thin, translucent membrane lining the anterior part of the sclera and inside of the eyelids. The inflammation of ocular surface can be divided into infectious and noninfectious causes, including allergic, and toxic, as well as immune-mediated diseases. 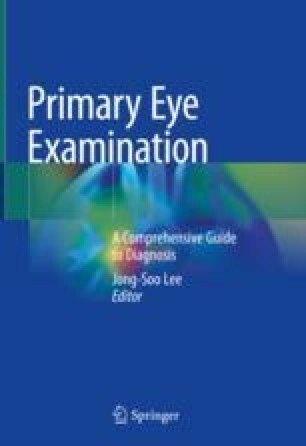 Various ophthalmic examinations of this chapter provide assistance to the diagnosis of the ocular surface disease. In additional, culture or cytology from the ocular surface may provide further information to diagnose of disease or to guide therapy.